Task: Design a new cup with @-shaped handle. New Atmark mugs are much thinner and lighter than their previous version. They are white inside so that it is clear how strong your brew is. 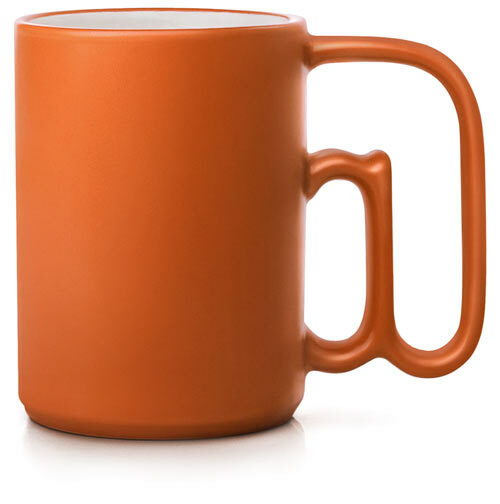 Mugs are available in 6 bright fashionable colors.